A photo finish on the chipper and a 325lb clean and jerk top the day in NorCal. The following report on the final day of the NorCal Sectional comes from Hollis Molloy. Please note, there is an adjustment to the schedule! A first look at results from one of the largest Sectionals. Day 1 of the NorCal Sectional is in the books. 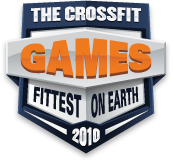 The following report comes from Hollis Molloy of CrossFit Santa Cruz. Information announced about the final challenge. The NorCal Sectional is happening next weekend, March 27-28. With nearly 400 athletes registered, this will be the largest Sectional competition by far. The deadline for competitors to register for the NorCal Sectionals is Sunday, February 28 at 8pm PST.